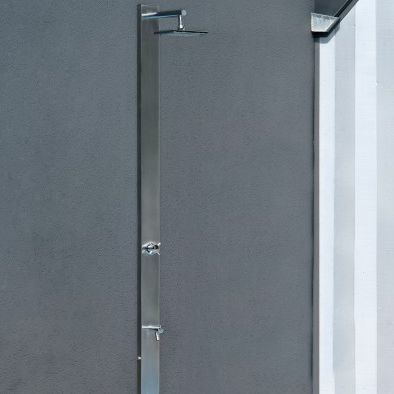 The Squadra shower will delight all admirers of sleek contours. 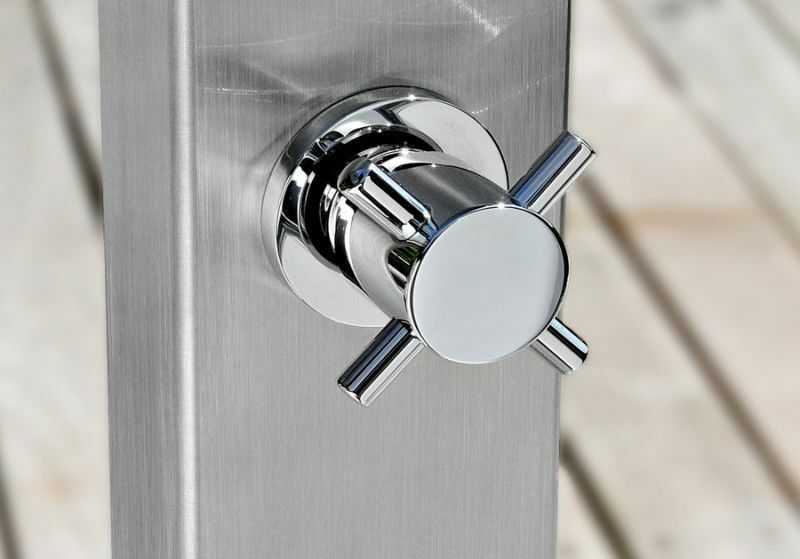 It is made from brushed stainless steel and is equipped with a foot shower. 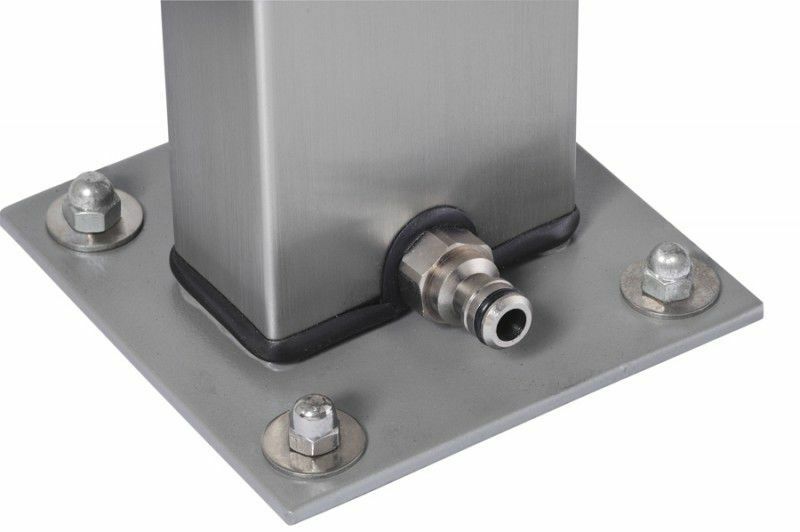 Installation is fast and simple, thanks to the anchoring system for hard ground (wood, rock, concrete). 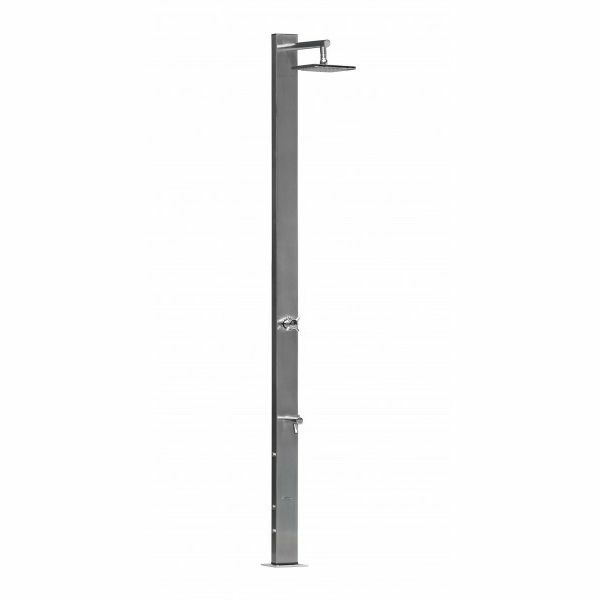 The shower is equipped with a thermostatic mixer to adjust the temperature of the overhead shower (non-clogging 20 cm square showerhead, adjustable position), and a foot shower using cold water. 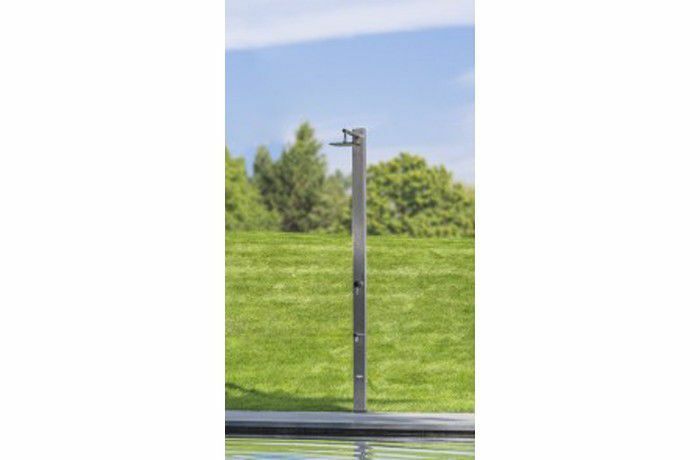 For the water supply, the shower connects to an ordinary hose at the rear of the base.